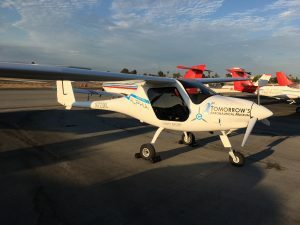 TAM’s Aero Squad flight school will be the first in the nation offer training in all-electric aircraft. 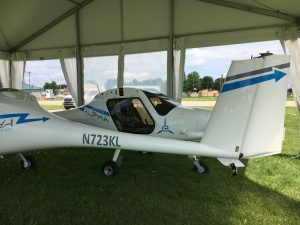 TAM has recently taken deliver of two brand new Pipistrel Alpha Electro trainer aircraft, which were displayed at AirVenture 2017 in Oshkosh, Wisconsin. These aircraft arrived on August 2, 2017. Home in Compton and fully assembled, awaiting approval from the FAA to take to the skies. How long will the aircraft fly typically in circuits? Up to 60 min + reserve. For LSA Aircraft the reserve is 20 minutes. 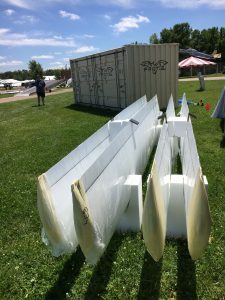 How long will the aircraft fly at cruise/cross-country? 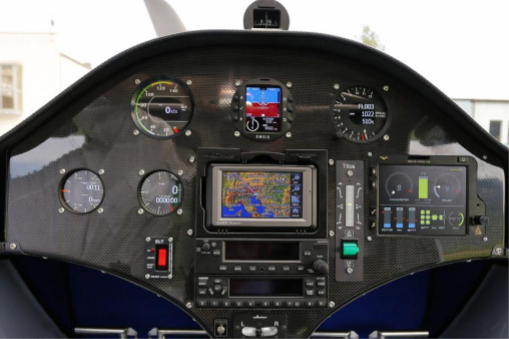 What are the temperature limitations for flying in cold weather / hot weather? Will I overheat when I am taxiing in hot weather? If I am not using the aircraft in winter do I need to do anything special to stop the batteries from freezing? How long will the batteries last, what is their lifespan in years and charge cycles before the batteries drop to 75% of the original capacity? 17 years. 300 to 700 cycles depending on careful operation according to POH. Can I add extra batteries to get more range when I am flying? How long does it take to remove the batteries for storage? How heavy are the batteries and can I swap them over myself? What is the luggage capacity the aircraft? Can I fly with just one battery in the front so I can carry more luggage in the back? There is no luggage compartment. You can fly with 1 battery only but you will need to ballast in the back-battery compartment due to CG range reasons and you will only have half of the endurance. 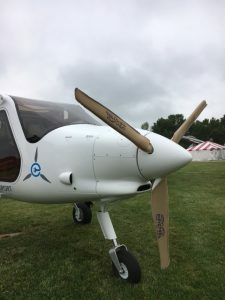 Are there any special maintenance requirements for an electric aircraft? Who can work on the engine for regular maintenance? How long will the engine last and who can do servicing? 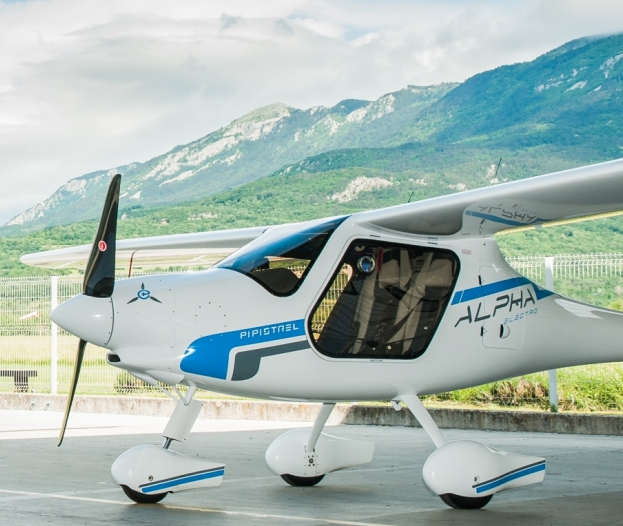 Why are electric aircraft so expensive? What charger can I take with me in the aircraft so I can go on a trip and recharge from different airports? Can I use a different charger when I am traveling, perhaps a charger for an electric vehicle? What are the chances of an electrical fire? Are there any special precautions taken to stop me getting electrocuted, especially during servicing? What are the volts and amps that the engine runs at? The motor operates at 325 V and 240 A, and the batteries at 400V. Unless it is really cold, the system will supply full power even with low battery state of charge. What is the warranty on the electrical propulsion system? 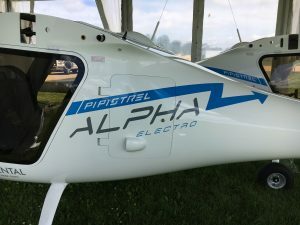 Does the ALPHA Electro have cabin heating system? How much power can you recover while in the pattern? What kind of batteries are installed? Is any sort of hybrid version planned? How can i register the ALPHA Electro today? It depends on the operating location and the intended use. Please check with your local dealer for information specific to your location. What infrastructure do I need at the airport for charging? The charger comes with a prepared and marked supply wire. Can I use solar panels for charging? Is there the possibility to install solar panels on the wings?